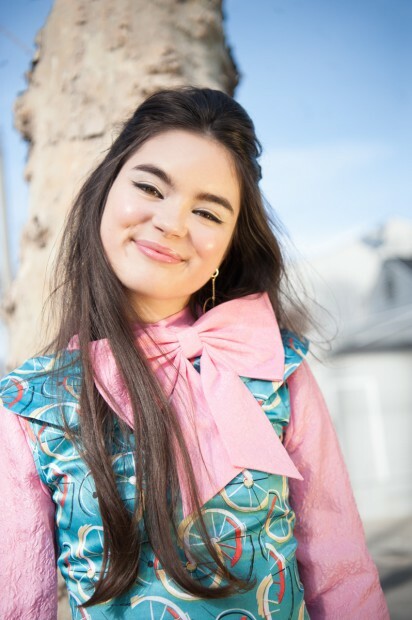 From the earliest age, Landry Bender was ready for the spotlight. Described as an old soul, she manifested her destiny on stage and at just ten years old was on a plane to New York with a role of a lifetime and an opportunity to fulfill her dreams. From this moment, Bender’s career has expanded with prize castings and what most would see as the perfect “Hollywood story”. Yet Landry is known by her fans as well as industry folk for being a kind and humble individual who celebrates her journey by staying passionate and engaged. A girl inspired (and a bit obsessed) with old Hollywood (in particular Audrey Hepburn), we asked another TPFG gal, Grace Wethor, to take the reins and bring her eclectic, cool vibe to this classic beauty to create some designer vintage magic.